Seven of us took off for the beautiful country of Costa Rica on March 31, 2016. We experienced three different regions of Costa Rica. 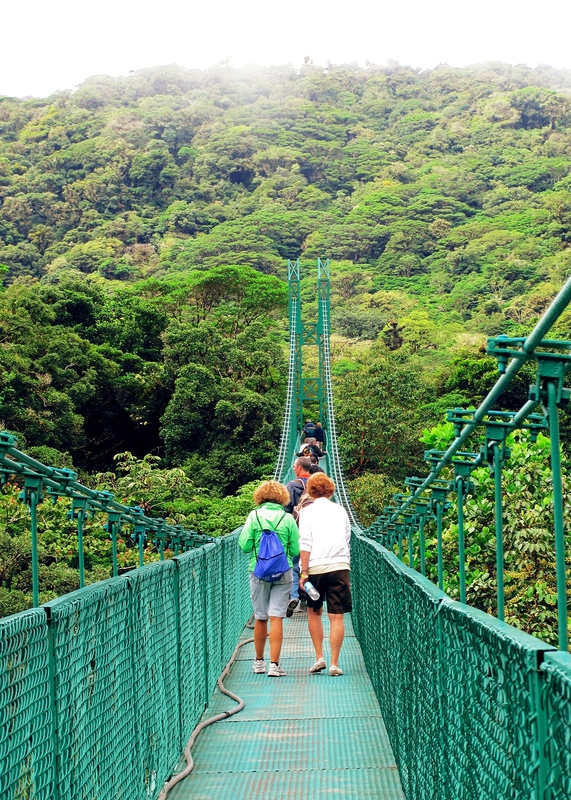 The west coast region of Guanacaste, the rain forest in Monteverde, and the area around Lake Arenal. Arenal is still an active volcano in Costa Rica. One of the trip highlights was seeing the Quetzal, a very evasive bird in the rain forest. For me, the monkeys were especially entertaining: we saw all three species of monkeys in the country. The flora and fauna in all regions were breathtaking! After eight days of great friendship, excellent food and lots of fun, we returned to Monroe on April 8. Looking forward to the next trip! For more information, contact Neal Albright at travel@unionsymphony.org. This project is supported by the Union County Community Arts Council and the Grassroots Program of the North Carolina Arts Council, a state agency.